Wega offers biomass sourcing as sustainable energy for heat and power producers as well as industrial clients. 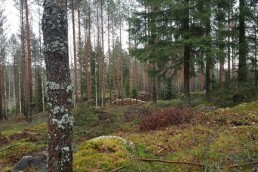 We purchase and deliver bioenergy to our clients and provide a marketplace for bioenergy in Finland. Through our experience and broad sourcing network, we can serve our clients with volumes ranging from truck loads to regular large-scale supply of biomass from the Baltic Sea region. Our goal is to facilitate the trade of biomass, improve the availability of biomass and increase security of bioenergy supply in Finland. This is achieved by optimising the logistics chain and transit times. Our services enable competitive prices and a broad supplier base for our clients. Our services are tailor-made and aimed at various stakeholders in the bioenergy sector from small forestry and harvester entrepreneurs to large forest and energy industry companies. Our key strengths are widespread market intelligence and market presence.